this guy did a pretty good job with the hair, the eye, and the stance. 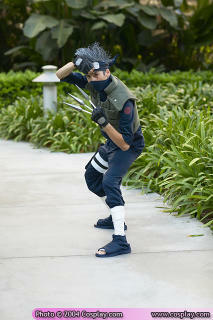 however, the kunai in his hand look like metallic fingers... which is a waste. 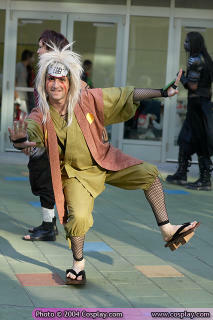 our friendly chee ko pek, jiraiya-sama, talented and horny. this cosplay actually does look a little like him. not that i'm saying the poor guy looks chee ko pek... but ok well. 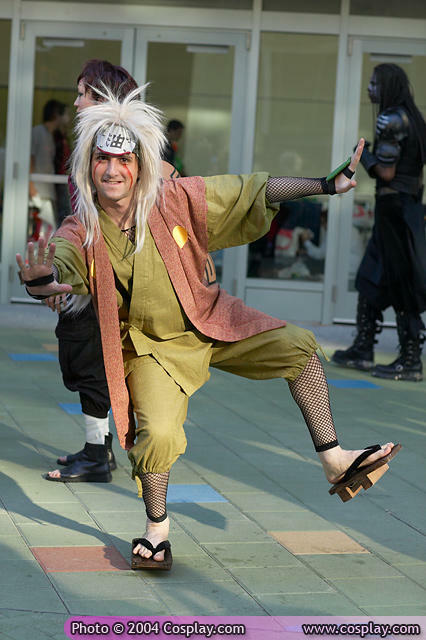 jiraiya is one of the naruto characters i wish we got to see more off. his just so hilarious. please tell me. IN WHAT WAY DOES THIS LOOK LIKE THE REAL THING? other than the outfits, that is. 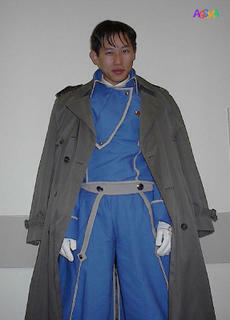 the guy looks like a sleaze bag, not a sey yandao. 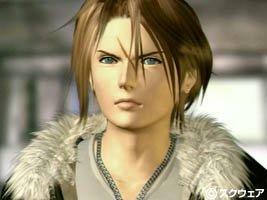 he definitely does not do squall justice. the girl, maybe can... with plastic surgery and rebonding. but her stance is totally wrong with that outfit. shoulda worn the gold / yellow one instead. i mean.. come on... 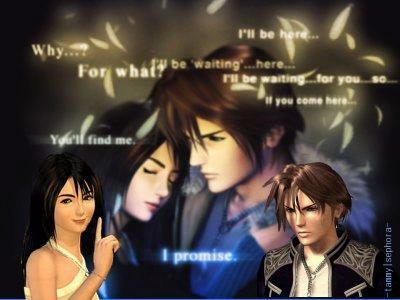 THIS is squall, scar and all. and man, he looks good. and on to my present FAVOURITE. 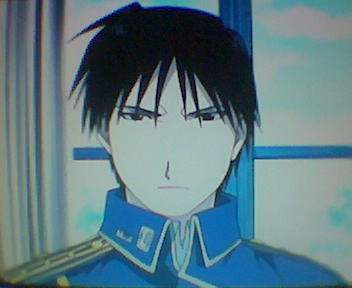 this is like... a total insult to the lady killer, roy mustang. thats a... chinaman! at least the next one, looks a little more like him. 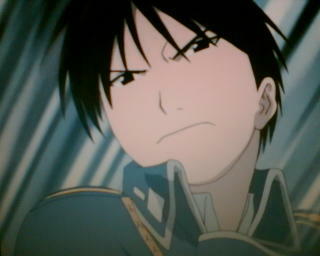 cept that... its actually a LADY in that outfit!! not much to look at, you may say? i beg to differ, roy has gals falling over themselves just to talk to him. sure of himself, (gorgeous), loyal, (gorgeous), protective,(gorgeous), a high ranking officer (and a gentleman), (gorgeous), talented, (gorgeous), aloof, (gorgeous), painfully just, (gorgeous), sarcastic,(gorgeous), ... ... gorgeous? he's the kind with a hint of "bad guy-ness", the kind that only one special lady can pin down for her own exclusive use. 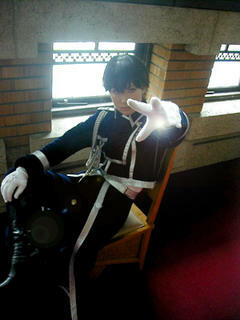 btw, the full metal alchemist cosplay site i got the good roy photo from is here. PLEASE go take a look. 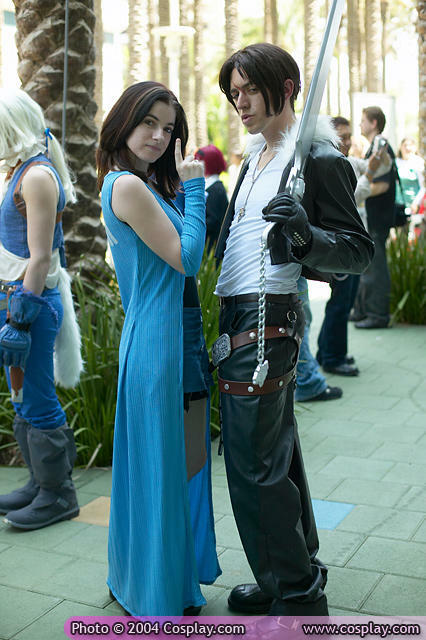 they are extreme cosplayers, and their work is AWESOME. the armstrong is PERFECT (but a little less muscular than the real armstrong) and the edward is very on the mark too. hawkeye and winry are a little too plump, but the costume and makeup really really well done. i'm not usually so liberal with my praise, being a horrible critic... so this has to be something.